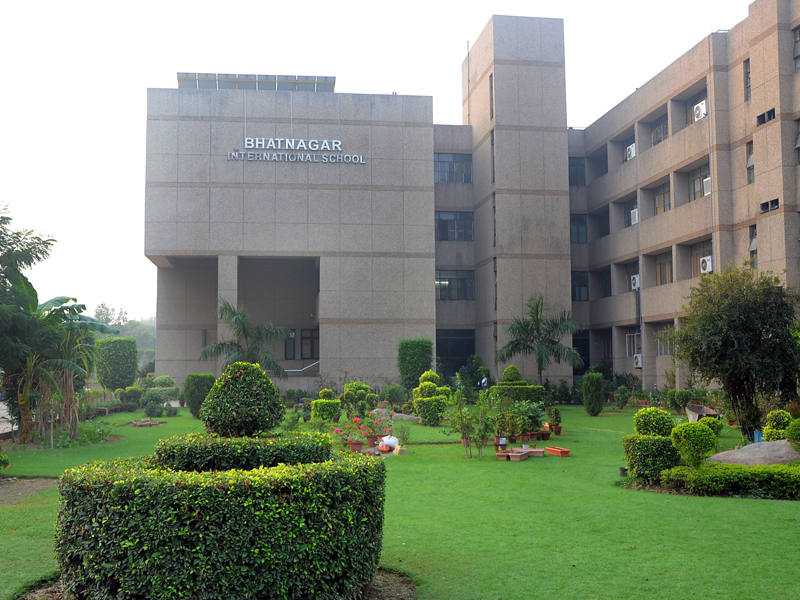 BHATNAGAR INTERNATIONAL SCHOOL, Vasant Kunj is a modern and progressive institution. Nestled in the much coveted South Delhi, the institution, right from its inception in 1990, is a vision translated into reality with the sublime mission to create leaders, winners and achievers in a global world. The school firmly believes that value based learning has far greater relevance in a dynamic and ever changing environment. At the senior secondary level the school offers three streams - Science, Commerce and Humanities ensuring results par excellence. The school provides the requisite infrastructure resulting in holistic development of each child under its care. The surroundings are amicable, environment friendly with verdant green belt embracing the impressive edifice. The structure is well ventilated with ample sunlight and fresh air which is conducive for student’s well-being and welfare. There is no thoroughfare or public passage through any part of the school premises; and the school building or grounds are not used for any other commercial, residential or non-educational activity. The school building is an imposing architectural marvel which houses 1200-1500 students in spacious well equipped class rooms with all modern facilities and state of the art laboratories. The school entrance opens into a well-tended lush green lawn. Students plant saplings and tend them with loving care. This green zone is their own. Each child takes care of it and nurture it along with the gardeners. This fosters a valuable lesson of caring for the green world and the delightful creations of nature. The school believes in grooming its green brigade to value Mother Earth.